Apache is an open source and freeware group Apache Software Foundation which is having a number of projects under it being maintained by Apache Community Development. All the projects under this come under License. They free to use. The founders involved in the development of this great project are Brian Behlendorf, Mark Cox, Ken Coar, S. Engelschall, Bill Stoddard, Randy Terbush, Paul Sutton and Dirk-Willem van Gulik etc. The main focus of this project is to Open source all the software under its control. It was located in Forest Hill, Maryland, the U.S. The method of licensing for all these projects. It is a Software Foundation for open source community developers which is decentralized and has a central repository where all its libraries and projects can be utilized easily. It is mainly called as application software which is used as web server widely. 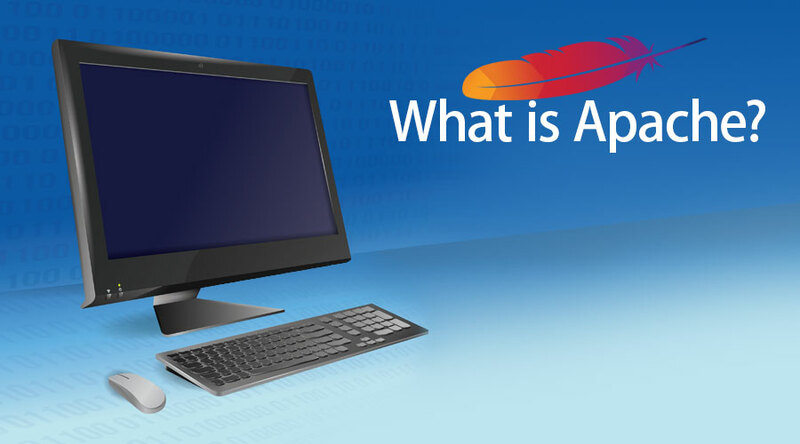 This server is also called as Apache HTTP Server. This server supports different cross-platform operating systems like UNIX and Windows it is also written in C++ and C programming languages. It has more than 350 plus open source projects being maintained by Apache Software Foundation. It has a lot of projects in its decentralized base and has several groups and areas with sub-projects under each of its module. HTTP Server is one of the best and top among the existing projects. These projects are well organized in such a way that the projects are grouped according to their technological belongings and as per the work streams or areas of applications. This Software Foundation gives us an established framework to protect the financial contributions and intellectual property that limits the potential and risk towards the legal exposure for all the project contributors. The Software Foundation has a meritocratic process which is called as the Apache Way that has more than 730 Members individually and 7000 plus Committers collaborated successfully to develop the freely available production-grade software applications, that is benefiting more than millions of users in the world and thousands of efficient software solutions being distributed under License. The community also actively participates in the Apache Software Foundation mailing lists, ApacheCon, and mentoring initiatives. This Software Foundation also conducts the official user conferences, expos, and training. How does it make working so easy? It is easier to use and mostly, this Server is good to use for the deployment of several web applications. It enables most of the complex functionalities to be implemented easily and reduces the development time and resource utilization by providing existing functionalities. Projects or libraries can be added as dependencies or jars into the projects and can be used based on the software applications functionalities and requirements. There are several top companies which use these projects as their base libraries or jars in order to support their own applications or products developed for their custom requirements. This is open source and freeware, anyone can use these projects in their applications as free of cost. Apache Projects Foundation has a lot of subsets in it. Apache has divided its software development projects into several groups or areas called top-level projects which were also called as Project Management Committee previously. These are all called sub-projects. It has necessary intellectual property rights to develop and distribute its projects when it has Licensed. There are different categories and sub-projects under each project. What can you do with Apache? It can be used in order to reduce the infrastructure or project setup activities and can directly proceed with direct software development activities. All the projects are designed and developed in such a way like a consensus-based, collaborative, development process and in a pragmatic and open source software based licensing versions. Each and every project is being managed by a separate team which comprised of expertise in a technical area and who are very active contributors to any one of the projects. This Software Foundation is a merit-based, membership foundation is based and granted only to the volunteer or open source contributor who has contributed actively all the time to Apache projects. It is considered as a 2nd generation open source project organization and also having some commercial support without any risk of the platforms lock-in. The main objectives of this Software Foundation are to assist legal protection to all the volunteers working on an Apache project and also to prevent the usage of Apache brand used by any other organizations without the Apache Software Foundation permission. This Software Foundation holds many useful technical conferences every year that highlights the Apache projects and its latest relative technologies. All the Apache projects are well documented on its official website and can be used efficiently by going through its documentation and implementing the projects based on its libraries. It has a lot of plugins and supporting features which are supported with any kind of projects easily. The entire library details or its jars information can be found at its official site easily and can be integrated easily with other projects. This Software Foundation is formerly called as Apache Group. The Apache Software Foundation was incorporated in the year 1999 in the form of not-for-profit corporation, membership-based in order to make the participation of volunteers individually into the Apache Projects beyond the project level capabilities. The demonstration committed from the individual contributors can have collaborative open-source software application development processes, in the form of sustained contributions and participation within its projects which are eligible for the membership. All the individuals are awarded memberships based on the nominations and the approvals received from a majority of the existing Apache Software Foundation members. This Software Foundation is also governed by the community members that directly serves it and the collaborating members within its projects. Its projects can be integrated with any type of projects. The skills required for Apache are such as basic programming language skills, Java Programming etc. and most of the projects in this are based on Java language. Any basic programming language is recommended before using these projects. Even without programming language can also be used in the cases of different tools or products by loading the jars or binary source files. Procedural or functional or object-oriented programming languages are mostly preferred as a required skill set in order to master the Apache technologies. Non Programmers can also use the Apache technologies for the Apache projects like Apache Server etc. which need to be configured and set up only as a web server. Why should we use Apache? It should be used with many software applications in order to utilize the existing open source and free libraries efficiently and effectively. It supports server-side and CGI model and also with several other HTTP compatibilities etc. It has a lot of common requirement jars with utility functions which are highly essential. For example, there are Apache Utils and Apache Commons which are the jars mostly used for doing common utility functionalities and these are mostly used in any automation or large projects like handling large data operations or file operations etc. The scope of this is very high in terms of compatibility and integration with several cross technologies and platforms in order to be used along with multiple technologies. It almost has all the types of technologies, programming languages, and frameworks used in the development of its own projects which are compatible with many external applications. The software or projects are available in the form of both the binary and source code versions on the Apache website. Apache can be used as own internal server or along with any other web servers. It has a lot of scope in many projects and we can see almost all of the web projects having the dependencies as any one of the existing projects from Apache Software Foundation. Why do we need Apache? It is needed as a supporting software or libraries for developing any other custom applications or software for the specific requirements of an organization or company or business requirements. The time needed for development of the common functionalities or known solutions for the known complex problems are already well identified and resolved in the form of existing projects. Who is the right audience for learning this technology? The right audience for this technologies is Developers and open source contributors who are willing to utilize the complex functionalities which are already developed and can be used in order to reduce the development time and increases the productivity. Anyone who is a student from a technological background and any other computers background is the right audiences to use or learn this technology. Any developer from almost all the areas is the right audience for these Apache technologies. Mostly software developers or application developers are preferred as the right audience for these Apache technologies. These projects have a lot of sub-projects within it and it has a diverse number of technologies involved in the development of its open source libraries. The technologies used in this projects covers almost all types of technologies, frameworks, libraries and interconnects with multiple numbers of cross-platform technologies or run time environments. This projects and its technologies are in very demand and especially related to the Big Data or Hadoop related projects are in high demand which will increase the opportunities of the aspirant in an easy manner. There are many top-level projects in Apache which are Spark, Kafka, Hadoop under the area of big data technologies that are having very good ratings and in high demand over the Apache Projects site. It is one of the best open source projects available in the market as of now. Almost all of the software applications or products use Apache projects or its subprojects in its software development lifecycle to utilize some standard tools which are opensource and were developed very efficiently. All the Apache projects are well developed by a group of community developers who are highly skilled and efficient in developing the applications. The developers involved in developing these Apache projects are from the open source developer community and even top companies also sponsor the development or maintenance of these projects resulting in stable maintenance with timely releases or bug fixes etc.